Harlequin Junkie Romance Reviews Gives IN THE DARK Four Stars! I’m thrilled with this great review of In the Dark from Harlequin Junkie! Thanks, Yazmin and Harlequin Junkie! 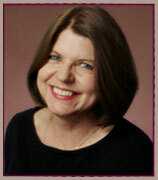 I’m Guest Blogging Today at Just Romantic Suspense! I’m at Just Romantic Suspense today talking about darkness! Stop by the blog and comment for a chance to win a free e-copy of In the Dark! What do you think? What are the fears that get under your skin the deepest? What are the monsters that hide under your bed? Visit me at RomCon.com today for a chance to win a free copy of In the Dark! I’m blogging at RomCon today about love triangles. What do you think? Is it really possible to love two people at once? Stop by and leave a comment for a chance to win a free copy of In the Dark! I’m at Romance@Random Today Talking About April in Paris! I’m at Romance@Random today blogging about my first April in Paris, and struggling to put my finger on what makes it so…magical! What is your favorite thing about springtime where you live? Stop by and tell me what you think! 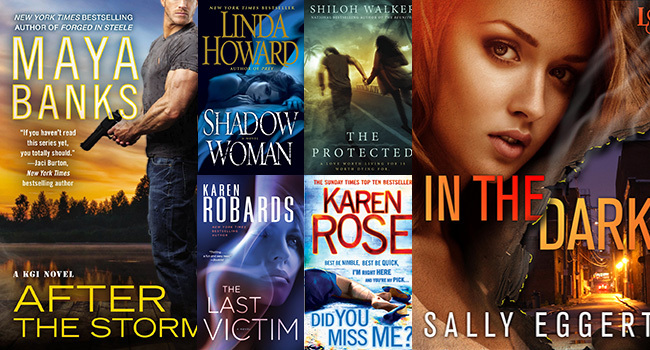 Romantic Suspense Giveaway Today from Romance@Random, Including IN THE DARK!! 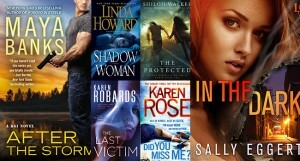 Today, Romance at Random‘s 14 Days of Giveaways treat is 5 Romantic Suspense prize packs, each containing After The Storm by Maya Banks, The Last Victim by Karen Robards, Shadow Woman by Linda Howard, In the Dark by Sally Eggert, Did You Miss Me? by Karen Rose, and The Protected by Shiloh Walker. Click HERE to enter! Five lucky winners will be chosen! I’m with my Ruby-Slippered Sisters Today Celebrating my New Release! Comment for a Chance to Win a Copy of IN THE DARK! Today my Ruby Sister Amanda Brice is interviewing me on the Ruby-Slippered Sisterhood blog to celebrate the release of my debut novel, In the Dark! We’re talking about how the idea for In the Dark developed, why I decided not to practice law, and my new life in Paris–stop by to join the conversation! One lucky commenter, selected at random, will win a free e-copy of In the Dark in the winner’s choice of Kindle, Nook, or iBook format! 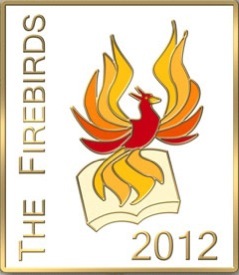 I’m Blogging with my Firebirds Today! Comment for a Chance to Win a Copy of IN THE DARK! I’m at the Firebirds blog today talking about fresh starts, my new release, and my recent life-changing move to Paris! Come and join the conversation! One lucky commenter (selected at random) will win a free e-copy of my new novel, IN THE DARK, in her choice of Kindle, Nook, or iBooks format! I’m at USA Today’s Happy Ever After Blog with Joyce Lamb Today! I’m thrilled to be guest blogging at USA Today’s Happy Ever After Blog today, talking about my five favorite female spies, and why I love them! Thank you so much to the wonderful Joyce Lamb for hosting me today! !